How to grow a beard and sterilize cats – plus a detailed Langkawi resorts review, spas, meetings venues, and some beaches in the rainforest. Here, less is more. FEW THINGS are as evocative as the six-letter word “ISLAND”. Think picture-postcard beaches, unspeakable romance, culinary delights, bargain shopping and heart-stopping bliss. Langkawi, the tiny Malaysian island north of Penang, goes well beyond this pedestrian clutter. The island of eagles – personified by the giant bird statue at Eagle (or Lang) Square – conjures enchanting visions of…well, absolutely nothing. One guide describes Langkawi as “a group of 104 tropical islands during the low tide and 99 islands during the high tide” so do choose your sandbar carefully when popping the Big Question. But then, “nothing” is a relative term. And it is in search of solitude that travellers flock to this island to get away from the madding crowd though the island is trying hard to compete with the big boys. But, as Langkawi demonstrates, sometimes less is more. Although things are predictably unhurried some things are changing, if slowly - the island’s population has jumped to about 155,000 as of 2010, up from 65,000 in 2006, pulled in perhaps with the opening of the first cinema, the Mega Cineplex, Langkawi Parade, in 2007. You will miss Kuah town if you blink. Legend has it that years back, in the days when even less happened in Langkawi, Princess Mahsuri was falsely accused by her wandering husband of infidelity. No one enquired what he had been up to on his travels and whether karaoke featured on the royal itinerary. The hapless maiden was done to death and it is said white blood flowed from her slashed veins, incontrovertibly proving her innocence. Before departing, the feisty princess placed the island under a seven-generation curse that, fortunately, finished its term at the end of the twentieth century, releasing the island once again to pursue its joyous path of, well, doing absolutely nothing. But fret not. Herein lies its charm. Langkawi is unspoilt, friendly, and genteel. This is no mystical Bali, throbbing Phuket, or curry-in-a-hurry Penang. It is a place to unwind and relax, preferably with a large good book or a slim good friend. It is a place for walks, waterfalls, rainforest walks, deep reflection, and mid-life crises with no one to interrupt your beachside rant. Men, if you brought the family along, be prepared for CONVERSATIONS. There’s no getting away. The best Langkawi beaches, while not the finest in Asia, are pretty decent with a few white sand stretches to rival any. The sunny and hot dry season runs from November to March with the monsoons trickling in May onwards. So here’s our Langkawi fun guide for families with a detailed Langkawi resorts review, a look at some fine spas, desultory duty-free shopping, pepper beaches and child-friendly hotels and activities. While honeymooners may flock here seeking serendipity, Langkawi is ultimately a family destination with much for the brood and acres of stomping space. 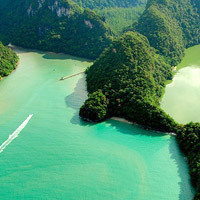 Get oriented right away with the informative tourism office site Naturally Langkawi. Before you plunge in you might want to look at a Langkawi map. The best way to get around is by rental car (around RM136 per day for a Perodua Myvi from a company like Asia Web Direct’s Langkawi Car Rental, tel: [60-3] 2302-7555, (www.langkawi-info.com/rentcar). Petrol costs about the same as mineral water so don’t feel shy. Taxis cost around RM30-RM40 per ride from Pantai Cenang (or the airport) to Kuah Town and fares to the more distant Tanjung Rhu and Datai will incur higher charges. Single trips are variable and expensive. Along the north shore, Danna to Datai is about RM40 one way. Hiring a taxi by the hour is RM30-RM50 per hour (depending on your negotiating skills) with a minimum three hours. There are no fixed meter fares. It makes sense then to rent. With just a few roads to choose from, all excellently signposted and maintained, it is unlikely you will get lost. The Malaysian ringgit to US dollar exchange rate is roughly US$1 = RM3.99. The island takes about two hours to drive right around. The flattish southern half is where the airport and Kuah town are located while the north features a hilly spine clad in verdant rainforest and rubber plantations. Both the forests, and the plantations with their graceful white-bark trees set in evenly spaced rows, are endangered species – the former on account of creeping development and the latter due to the steady evaporation of the original Indian migrant workers brought in to tap the rubber. 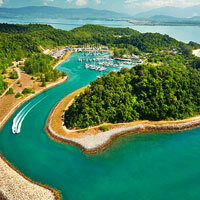 It is in the north that Langkawi comes alive and nature is at its most vibrant. It may well be that the island will emerge eventually as a colourful, varied and sustainable eco-tourism destination. It has all the makings. The east coast is fringed by dense mangrove swamps and limestone hills and it is worth experiencing a river tour topped off by “feeding the eagles”. Scores of red eagles swoop down to claim their prize and it is a sight to behold. Canopy trekking, which involves abseiling or rappelling and generally hanging from high branches up in the forest canopy, is catching on. And in Pulau Payar Marine Park 30km south of Langkawi, an hour by boat from Kuah jetty, you can dive in gin-clear waters, snorkel and actually feed sharks – well, okay, baby sharks. Keep your toes buried well in the sand lest the feisty critters mistake them for small fish and grab a couple to go. Bear in mind there is no accommodation on Pulau Payar – but it’s a great day-trip outing for the whole family. Up in the cool highlands of Mt Gunung Raya smack at the centre of Langkawi, hornbills can be occasionally sighted but, sadly, the green turtles that once made the beach of Pantai Cenang their home, are not spotted often these days. Another day excursion is to Pulau Dayang Bunting, home to the Lake of the Pregnant Maiden. It is a 15-minute boat trip from Langkawi. The highlight here is a cave haunted by a fearsome banshee (which has not deterred souvenir sellers), and Tasik Dayang Bunting, a freshwater lake that apparently bestows the gift of children to barren women who drink from it. Bring your husband along to ensure things are absolutely propah. Interestingly the island is populated on only one side – but not on the side where the lake lies. There are all the usual hysterical trappings of modern tourism – crocodile farms where alligators do things God never intended, bird shows, aquariums and so on – that have been dumped here and there in an attempt to tart up the place. Give them all a miss unless you are in the mood for something mind-numbingly twee or the children insist. Do pop by the invigorating Morac International Karting Circuit go-kart track (tel: [60-4] 955-5827) where under 50 Malaysian ringgit will get you 10 to 15 minutes or six to eight laps of a long looping circuit under a baking sun. Call it a high-speed tan. A larger outlay will see you bag a muscle kart with higher speeds and more laps. The key beaches on the island are Pantai Cenang, the main strip near the airport where several of the larger hotels are located, Datai Bay, in the northwest, a splendid cove of exclusive white sand set in stunning rainforest, and Tanjung Rhu, a broad, sparkling white bay to the northeast. Up north as well is the tiny, rustic, hideaway cove of Pasir Tengkorak with a few small huts that can be rented from the government for RM25. The Malay-style squatting toilets are clean and will set you back a mere RM0.50 a visit. Stock up before visiting and bring along sleeping bags or bedding, as well as your own food and drink. Then, just for the fabulous views, hitch a ride up the 708m Mt Machinchang on the Langkawi Cable Car (tel: [60-4] 959-4225, www.panoramalangkawi.com) from Oriental Village close by the Berjaya resort. According to the photo gallery on its website you can actually see the Grand Canyon and the snow-clad Rockies. That’s some view. Or walk up to one of the three waterfalls –Telaga Tujuh (Seven Wells), Air Terjun Temurun, or Durian Falls. Don’t bother during the dry season as there won’t be much water, falling or otherwise. Budding equestrians and children can trot off on horseback through forests and villages (Langkawi Island Horses (tel: [60-4] 959-4753, www.langkawihorses.com). Golfers can check in at the stunning The Els Club Teluk Datai (tel: [60-4] 9500-500, (www.elsclubmalaysia.com) or Gunung Raya Golf Resort (tel: [60-4] 966-8148, www.golfgr.com.my), while sailors head for the Royal Langkawi Yacht Club tel: [60-4] 966-4078, www.langkawiyachtclub.com). Shopping is another Langkawi pastime. The place is a designated duty-free island (only alcohol, cigarettes and electronics are taxed) so much of the bric-a-brac on offer is a lot far cheaper than on the mainland. People come here to buy cars and yachts too, duty-free. Go figure. Langkawi Fair Shopping Mall, just south of Kuah is as good a starting point as any. The complex hosts Sunday Home Décor (and its Sunday Bistro) where you can pick up stuff for the home and some antiques. There is a factory outlet place here as well. Other shopping spots include Jetty Point (close to Langkawi Fair), Plaza Langkawi (near the City Bayview hotel), and the newer duty-free shopping outlet Teow Soon Huat. The island’s main town, and arrival point for most of the incoming ferries, Kuah, is a couple of rows of rebuilt shophouses with a decidedly sleepy feel. Here you’ll come across remarkable names like Husky Trading (electronic games) and Flint Stones Handicrafts. Shops are open about 10am to 10pm and most are closed on Fridays (the Muslim weekend). The bright stalls of the Night Market that shuttle around the island depending on the day, offer another pleasant distraction. Some incredible bargains are to be had especially for DVDs, T-shirts, and satays, depending on your taste. The Langkawi night market runs in Kuah town on Wednesdays and Saturdays, starting from about 5pm. It moves around the island including to Pantai Cenang and Tanjung Rhu. Check the schedule before leaving your hotel. Extra-keen shoppers may pop by Pisang Handicraft and Art Village (tel: [60-4] 955-7730), www.pisanglangkawi.com) or the more upmarket De’Zone Craft Centre not too far from the Century Four Points Resort (formerly the Sheraton Langkawi). Dining options have taken off though you may have to motor about a bit to get anywhere. Kuah Town is worth a browse if you want good Chinese seafood in casual surrounds. Try the popular Restoran Hi Liang or Rootian Seafood next to the Water Garden Hawker Centre. For delicious and spicy roll-up-your-sleeves Malay-Indian curries and dosas get settled in at Dawood Nasi Kandar where two could have a hearty meal for a trifling RM10. Several fine dining options are available now as well. Mediterranean inspired The Brasserie (tel: [60-4] 955-1927) in Pantai Cenang, is considered one of the island’s fanciest. Well developed Telaga Harbour Marina and the Telaga Terminal (telaga-terminal.com/) at Perdana Quay, Pantai Kok, is a mini Singapore Boat Quay lookalike with trendy eateries and bars. From Telaga Terminal there are ferries to Koh Lipe, Thailand, a more rustic escape with pristine beaches. There are a few fashion boutiques sprinkled around as well to cater for tourists and the smart set moored along the boardwalk in gleaming yachts. Opposite the bay, Petronas Quay also offers snacks and alfresco dining. Elsewhere on the island, choices are varied, from Japanese to roll-up-your-sleeves Malaysiam, Indian and Western. For a taste of something upscale, try Charlie's Bar & Grill at the Royal Langkawi Yacht Club (tel: [60-4] 966-4078, www.langkawiyachtclub.com), and the quaint, old world, all-wood Chin Chin Lounge Bar (tel: [60-4] 955-6787) at the Bon Ton Resort. For Malaysian food simply dive into the narrow streets of Kuah Town and you'll find curry in a hurry. 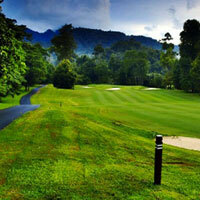 Langkawi hotel choices are varied and range from humdrum to soaringly upmarket. Kuah Town is awash with mediocrity with the modern highrise Bayview Hotel Langkawi perhaps the best “city” choice. 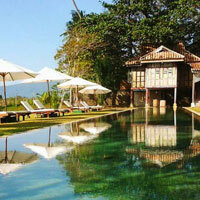 It is close to shopping and restaurants, has a decent pool and offers fine views. The faux Versailles turrets of the misplaced Bella Vista Waterfront Langkawi (the group had three properties on the island by 2018) and the drab Hotel Langkasuka and Grand Continental are less than inspiring. At the lower end, things may get decidedly dodgy, so keep your eyes open if you insist on thrift. 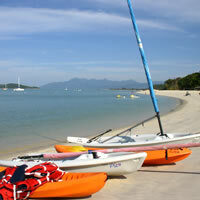 For a basic experience in clean surrounds try the two-star Eagle Bay Hotel overlooking parks and close to Eagle Square. A longtime top address in this area, well away from the town, is the low-rise Westin Langkawi Resort & Spa a sprawling affair over 140 landscaped acres with a lovely free-form pool between the two extended arms of the accommodation wings. It has emerged through several revamps and detailed facelifts to position itself as one of the best Langkawi beach resorts for weddings, spa getaways and family vacations. If that seems like a big grab bag, it is. And the generous space helps. The Westin Langkawi fronts a long beach that tends to drain out into pebble and mud at low tide but the white sand strip broadens considerably – and scenically – as you walk along the seafront towards the spacious and chic private villa (for stays, private functions and weddings). You can get wed Malay style with candles, floral baths, massage, the works… Each of the 202 rooms is comfortable with eye-popping 42-inch plasma TVs, a writing desk, Broadband access, DVD player, and the signature Westin Heavenly Bed. The in-room safe is too small for a laptop but can handle a camera or video easily. Plug sockets are three-pin square. Rejuvenating treatments are on offer at this Langkawi spa resort. There are also 20 one to five-bedroom pool villas, all featuring private infinity pools, outdoor bales for spa treatments, iPods, surround sound system, kitchenette and walk-in closets. There’s even a butler to ensure you get round-the-clock service. The Westin Langkawi Resort & Spa is a good Langkawi conference hotel choice with a ballroom accommodating theatre-style receptions for up to 400. There are a host of other meetings facilities and venues. 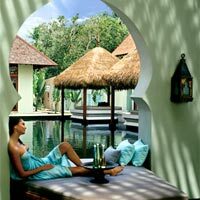 But if you’re in the mood for some relaxation and pampering, then the Heavenly Spa by Westin might be more your style. Try the “Rollersage” massage that combines Swedish massage techniques with heated semi-precious stone compresses. 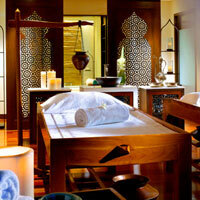 Or check out the “Kalari Marma Point Massage”, which stimulates the body’s 107 marma, or localised energy points. Expect plenty of water sports, tennis, four pools, outdoor whirlpool, and WestinWORKOUT gym. 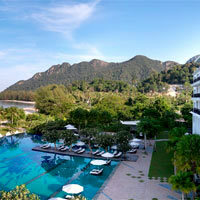 Westin rates high on our Langkawi resorts review. Adding further class to this area is the even more secluded The St Regis Langkawi (opened April 2016) on a private sandy cove at Jalan Pantai Beringin beyond the Westin. This is a breezy luxury construct with the de rigueur expansive sea-fronting infinity pool, complimentary WiFi, an 800sq m Iridium Spa to soothe city muscles with an arsenal of potions, scrubs and wraps, an Athletic Club, butlers, Bentleys, and a well thought out child-friendly programme called 'Family Traditions at St Regis'. With any mention of 'kids' smoothly edited out of the name - lest luxe trippers panic at the thought of screaming ankle-biters ravaging pristine sands - the Family Traditions Program nevertheless offers a smorgasbord of 'minor' details like kids' meals, babysitting services, a kids' pool, and a children's club. So fear not, you can dip into the spa while the toddlers are distracted by nannies. It's called 'bespoke' care, which simply means they'll take good care of your kids. The 89 smoke-free suites are generous in size with dark timber floors or marble, tan sofas, turquoise cushions and an overstuffed plump white bed. 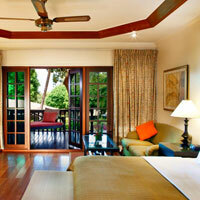 A Premier Andaman Sea King retails for US$575 per night. This will dent your wallet but there's considerably bang for the buck. Think 48sq m to 58sq m digs, butler service, a breezy balcony, a vast soaking tub, and airport transfers in style. 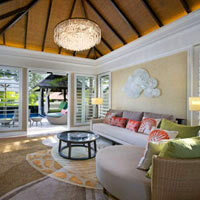 Or opt for a stylish St Regis Suite or a St Regis Pool Suite (69sq m to 139sq m) with a garden area and private pool. More than enough room to swing an elephant by the tail though you might refrain from such idle sport at this eco-sensitive hideaway. For small corporate meetings or larger events there's 1,082 sq m of function space. The largest meeting space is 300sq m so consider this for intimate CEO chinwags or classy get-togethers rather than Muscle MICE extravaganzas. For that, Starwood sibling Westin is close enough. En route to Pantai Cenang from Kuah is the isolated, back-to-nature Kampung Tok Senik Resort, with its humungous rooms in large subdivided wooden Malay-style chalets. You’ll find a TV, VCR player, aircon and more space than you’ll know what to do with. Prepare for long walks and dim lights at night. There is a large swimming pool. Atmospheric. Spooky. Take your pick. Close by the airport and just around the corner from the Mahsuri International Exhibition Centre (MIEC) pretty much in the heart of nowhere, are a clutch of insipid resorts. This includes the One Hotel Helang. Give them a miss. It is along Pantai Cenang, the southwestern beach strip that most of the mid-range hotel pickings are to be found. The Mediterranean-inspired 209-room Awana Porto Malai Langkawi, which rebranded a while back as Resorts World Langkawi, is at the very southern tip facing a marina, just 15-minutes from the airport. This was a three-star resort that has now had a modest upgrade with the Resorts World partnership. Deluxe Rooms used to feature a tiny separate toilet and small separate shower (on different sides of the bedroom) and a washbasin smack next to the bed. It was a curious arrangement. The hotel was strictly BYO with an empty fridge, but times have changed. Pick a Superior Sea View room with balcony for breezy views. No beach, but there is a spa. Also expect bicycle rental, a fitness centre, and library. With rates starting as low as US$65, it is easy to see why unfussy travellers make a beeline here. The Holiday Villa Beach Resort & Spa Langkawi is a strictly “No Durian” place with 258 rooms and suites. Signs are everywhere cautioning guests against importing this pungent-smelling fruit. This is a typical mid-range holiday place, located on 13-acres of land close to Pantai Tengah beach, with enough activities to keep kids happy, a large pool, a fitness centre, tennis and a recreation centre. There’s also Amoaras Relaxation Spa, which features five treatment rooms, an aqua medic room, steam and sauna, and a host of Balinese treatments. Tacky but friendly. The adjacent Federal Villa Beach Resort Langkawi is managed by the same group. Here things are quieter, much quieter, with signs like “dial for the manager” and “park at your own risk”. Two-storey buildings with simple three-star accommodation. The Frangipani Langkawi Resort & Spa features small concrete chalet-style units (with rattan furniture and cupboard but no safe) set around 10 acres of land interspersed with coconut trees. There are around 117 rooms, villas, and suites, several of which have undergone a recent upgrading and refurbishment phase ending in December 2014. The small pool fronts the beach and a doll’s house massage hut on stilts that looks like it might fall down if an ample German wandered in. Not far from here is the larger 217-room Aseania Resort Langkawi, a strawberry pink, colonnaded place that works hard to appear Mediterranean. It is not on the beach (though close enough to walk down) and offers instead a 154m pool listed in the Guinness Book of World Records as the longest in Malaysia. There’s a rockery, waterfall, a wave pool, beach volleyball court and even a lazy river ride for the kids. European travellers blitzed by the pool seem happy enough. The real discovery along this coast is the small and intimate Casa Del Mar that oozes ambience. As its name suggests, this is another chip off the old Spanish hacienda block. But where others strain, this place succeeds effortlessly. There are 34 rooms rooms and four suites offering a sense of a “large home rather than a small hotel”. All rooms have a sea view. You’ll find a small safe, TV, a DVD and CD player (pick up free movies from the library). Post renovation new-look rooms offer flat screen TVs, iPod dock, and glass-panelled terrace areas. Usefully, the lounge has a separate shower area for checked out guests to use while waiting for a late flight. In room Broadband is free while the lobby is wireless equipped. Take your work with you if you must. Rooms have a cosy, bright and starched appearance with a small divan for reading, a ceiling fan and a small rug. The russet tones of the exterior come alive at night when the oil lamps are lit. And for more indulgence there’s a wine bar and a small spa. Try a “Body Reviver”, which includes a sandalwood body polish and milk bath. Expectant mothers might check out the “Mother To Be” package, which includes a massage and facial. All spa ingredients are organic. The hotel is a popular location for Langkawi beach weddings and honeymooners, and the facilities are designed more for couples than families. 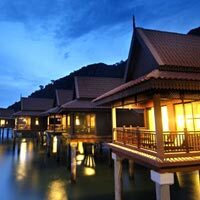 Just up the coast is long time stalwart, designed to look like a traditional Malay village, the Meritus Pelangi Beach Resort & Spa is spread out over 35 generous acres. Accommodation is in 352 rooms set in dark-wood traditional Malay kampung-style single and double-storey chalets with gleaming timber floors and all modern conveniences. Red-tile roofs, bursts of crimson bougainvillea and an expansive deep blue pool, although slightly aged, lend a great deal of colour to the place. This is perhaps unsurprising as the word “pelangi” means rainbow in Malay. The resort is well equipped for conferences and corporate events and also offers the Teratai Spa by Aspara, which features a wide variety of Malaysian and other Asian treatments. Kids aged four to twelve can join the KiKi Club for complimentary daily face painting, mini golf, arts and handicrafts and beach games. Expect a gym, steam and sauna, squash, aerobics room and table tennis. There are also plenty of water sports options, like water skiing, jet skis, banana boats catamarans, snorkeling, diving and more. And for those who can’t stay offline, there is resort-wide complimentary WiFi. A short drive north from the airport, the charming Bon Ton Restaurant & Resort is built on the grounds of a 100-year-old coconut plantation. It is an authentic Langkawi boutique hotel choice with just eight vintage kampung-style villas (for two to three persons) fronting compact grass lawns and a Jacuzzi pool. This is rustic chic with all the creaking floorboards and squeaky doors you’ll need to relive the past. A foodie gem is the Nam Restaurant, which serves a fusion of eastern and western cuisine. It is widely regarded as one of the best restaurants on the island. Bon Ton is easily a top pick for a boutique style stay in Langkawi though the emphasis is more on ‘homey’. It has a leisurely pace that will calm city nerves and keep you coming back for more despite the climbing price tag. Also run by Bon Ton Resorts, Temple Tree at Bon Ton is a real treat of hoary 100-year-old heritage buildings, lovingly restored and laden with antique furniture, stunning floor tiles and old wooden floors. Temple Tree resort is made up of 12 rooms, 13 suites and eight villas, in five different styles: Chinese, Penang, Black and White, Colonial and Estate. All have high ceilings, lots of wooden panelling and modern amenities that blend seamlessly into their stunning surroundings. You won’t be disappointed. Villas can be rented whole or as individual rooms. At Straits Club House find the resort reception, restaurant, bar, library and pool table. Wide verandahs are perfect for relaxing with a good book. Both resorts by Bon Ton attract Europeans in large numbers seeking that fast-disappearing soul of Asia. If you are not in need of vast creature comforts, either will make a splendid escape. There’s no beach but Bon Ton is all heart. It runs the LASSie (Langkawi Animal Shelter and Sanctuary Foundation, www.langkawilassie.org.my). Guests or other donors may chip in to sterilize a tomcat (RM50) or look after a dog for a month (RM100). Who would want to escape for a snog when they could sterilize a cat? But seriously, it’s a good cause. You’ll also earn brownie points with the kids. Best of all, there’s nothing Mediterranean about this place. Unbelievably, it is all Malay. Villa Molek, in a quiet location in the southwest of the island, is a small, adults-only option with 12 private villas. Each has a separate bedroom and living area, and terraces that overlook the pool and tropical gardens. As well as handcrafted teak furniture throughout, the villas come with air conditioning, plasma TVs, desks, a pantry and refrigerator. WiFi is available at the café. The place is a no-no for children under the age of 18, but a yes to honeymooners and couples looking to rekindle some romance. The resort is not on the beach but it’s a short walk away – and the place offers other distractions. About a smooth 15-minute boat journey from Port Langkasuka jetty lies Vivanta by Taj - Rebak Island Langkawi, an upscale hotel managed by India’s Taj group on 390 acres of beach and jungle. Ferries run frequently. The island is a tranquil affair, all secluded beaches and limestone coves, and the resort’s village-style timber houses are its only guest accommodation. The 94 room and villa options range from a 48sq m garden room with balcony to two-bedroom villas, clustered amidst landscaped garden, and all are kitted out with a modern, chic interpretation of Malaysian décor, gleaming parquet flooring, and luxury twists. Superior sea view rooms get an eyeful of the Senari Strait while a couple of the deluxe sea view rooms sport outdoor showers. All rooms offer WiFi. There’s just the one meeting room, which can take about 50 guests in a conference set-up. Since it’s small on the conference side but big on recreational facilities and spa, this one would make a good family getaway. The Jiva Spa has a range of classic massages and remedies. The resort lies right next to the Rebak Island Marina (www.rebakmarina.com), which can accommodate vessels up to 30m in 189 wet and 70 dry berths. Whipping on up the coast you’ll pass the carcass of the Delima Resort, a barracks affair that expired soon after the first tourist boom, the dreary Perdana Hotel, Langkasuka Beach Resort and the surprisingly upbeat Langkawi Lagoon Resort. Langkawi Lagoon is pretty but nothing spectacular on the outside but is a different story once you enter the lobby, take in the manmade lagoon and cross over to the seaside. You can either stay in the Ombak Villa side, with its infinity pool as well as an indoor and outdoor gym, or there’s the Beachfront Hotel and Sea Village offering Malay-style stilted accommodation over water, all with private balconies from which to enjoy the view. There is a treatment retreat on site called Ombak Spa. If you’ve been out in the sun a tad too long, try the “Dayang Sunburn Spa Treatment” for two hours of chill yoghurt body wraps, traditional Malay massage and a cooling lemon bath. There are plenty of activities to keep the whole family entertained – as well as a Kids Club, outdoor playground and kid’s pool. Not a bad spot for those in search of child-friendly Langkawi hotels. Century Four Points Langkawi (rebranded 1 June 2015, formerly the Sheraton Langkawi Beach Resort) has been around a while. A facelift had it emerging lighter, breezier and far more contemporary. Still, the hotel is an ageing madam that elicits mixed reviews. With standards dropping, Sheraton eventually vacated. Standards continue to drop but rooms are spacious. This is a 38 acre garden compound that runs up and down the verdant hillside with snatches of ocean view here and there. A top Suite might be a split level arrangement with foldout bathroom windows allows you to soak in the tub while watching the 29-inch flat screen TV or keeping an eye on the kids in the bedroom. The small safe is not laptop size. Much of the seaside is rocky and, while scenic, swimming and wading is not your best bet. There’s mud and pebbles underfoot as the tide drains. Better to head indoors for a massage. Heading west along the coast, seven kilometres from - and within sighting distance of - the airport is The Ritz-Carlton Langkawi (opened September 2017), a swish upscale escape at the fringe of the rainforest (but not in the thick of it like The Datai and Andaman farther north), with an overwater spa with treatment rooms in a unique bamboo-cage fishtrap design, and a ballroom that hopes to entertain up to 280 for a banquet with 430 seating theatre-style. The rooms are generous in size, starting at 75sq m for a Rainforest Deluxe, going up to 200sq m in a Rainforest Villa and a cavernous 399sq m at a Grand Ocean Front Villa, all with single bedrooms. Three-bedroom villas range up to 650sq m.
Enjoy three swimming pools and a Ritz Kids program for smaller guests. With complimentary WiFi and more, this is a surprisingly child-friendly hotel and juniors are well catered for with welcome packets, special menus, and activities. 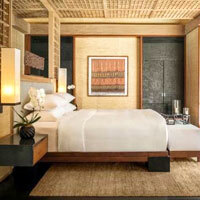 In-room expect marble bathrooms, rainshowers, humungous 52-inch flatscreen televisions and, in villas, private pools. Other distractions include a fitness centre and yoga. Getting into Pantai Kok, the Mutiara Burau Bay was long a good-value favourite. The 19-acre resort was unfussy and friendly. The 150 simple cabanas ran along the sides of a central garden that led onto a wonderful Robinson Crusoe cove fringed by tall palms. It was closed and under renovation end 2014 and by early 2018 there was no clear plan of subsequent directions. On the other side of the sweeping bay are the red-tile roofs of the Berjaya Langkawi Resort Water Suites. Some of the 424 chalets are sprinkled across the forested hillside, but the draw here are the stilt chalets and suites on the water, all with private balconies to take in the sea views. The Berjaya gets better as you walk down from the lobby and approach the beach. There is a busy swimming pool with rock formations, a bar, and plenty of kids splashing about. In the sidelines, Russian stewardesses try to acquire a tan. There’s complimentary Wi-Fi in all rooms and public areas, as well as a cyber café and mini library for those who came with good intentions to disconnect. There’s also the Taaras Spa, with steam, sauna, and an outdoor Jacuzzi. The place is busy and involves a fair bit of walking up and down the hillside. And for those planning big day functions, there’s a 900-person ballroom and a host of activities to keep guests – including the kids - well entertained. The Berjaya is a humming hotel with a languorous flavour especially along the convivial pool terraces leading to the beach. It is a very child-friendly resort while also pressing its advantage as an address for small corporate meetings for suits in search of a “Eureka” moment and significant tan. At the far northwest corner of the island, shrouded in rainforest with echoing birdcalls and overlooking a private bay is the original Langkawi gem, The Datai, Langkawi. It returns after a hiatus and US$60 million renovations in July 2018 with its mix of villas, rooms, and suites - exotic, well planned, private, upscale and refurbished. Reworking of the interiors has brought in a classical yet rustic and simple contemporary style in earth tones with plenty of woven reed, wood, and grey stone. 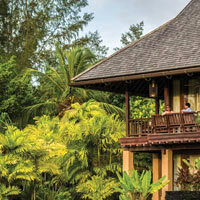 You can choose whether you want to stay on the beach or nestled in the rainforest. The Datai is a honeymooner’s dream with all manner of snug nooks and crannies, private pools, ambling pathways, and a heck of a lot of stairs if you’re heading from the lobby and main pool down to the beach. Don’t worry – you can hitch a ride on a buggy. 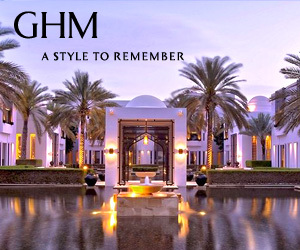 Formerly managed by GHM hotels who brought this address to prominence, the place was taken over in 2011 by Archipelago Hotels & Resorts. For sheer indulgence, The Datai is hard to beat. Rainforest walks, mountain biking and The Spa will keep you entertained and satisfyingly exhausted. At night, when the uplights come on, igniting the forest canopy, the resort looks its picture-postcard best. The elegant main pool at the upper level is only for those 16 years and above. Read your book unmolested here. 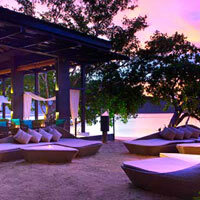 This is one of the top Langkawi spa resorts by a long chalk. The lower level beach club pool is livelier and it fronts a gorgeous white sand cove, shared by the neighbouring property, The Andaman. 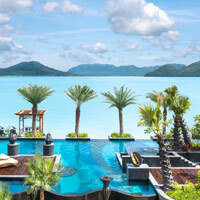 Again, while it is a splendid spot for a beach wedding in Langkawi, or an idyllic escape for honeymooners, the place is family-friendly with an abundance of nature enabling a healthy disconnect from smartphones and iPads. The Andaman (from the Starwood Luxury Collection) is a more vertical structure, though not a highrise by any means. Emerging from lengthy renovations and upgrades, the new rooms are classic and luxurious, and include categories such as the 43sq m Luxury Seaview Rooms with small balconies, grand views and 300-thread-count linen; and Executive Seaview Suites with large balconies and reclining chaise longue, floor-to-ceiling windows welcoming of light, iPod docks and 46-inch LED flatscreen televisions. There's 86sq m of stretch space here and an Executive Pool Suite throws in a private plunge pool. Deluxe rooms are more woody with gleaming timber floors, russet cushions atop white beds, large flatscreen TVs and dark-wood cabinets. The thread-count goes down to 200 but, heck, the fun count surely goes up at this better price point. WiFi is complimentary throughout the resort. Kids will be amply entertained with the Young Explorer Club with daily activities and game room stocked with plenty of books, board games and more. There's even a coral nursery to watch marine life being regenerated. While offering high-end pampering to honeymooners and couples, this also doubles effortlessly as a Langkawi child-friendly resort with heart and fun stuff for typhoon tykes. The sweeping high-ceiling lobby lets in light and sea breezes, and permits wonderful views of the bay. Far below, the blue mosaic pool flows through the forest. From here you appear to float above the green canopy. The Andaman is contemporary chic with traditional flourishes. The V Integrated Wellness spa brings fresh menus, techniques and potions in its healing arsenal as a holistic therapeutic escape inclusive of meditation lessons. Heading across the north coast of the island, opened in late 2010 en route to Tanjung Rhu, is The Danna Langkawi, which has brought more opulence to a formerly quiet neighbourhood. The British-Malay influenced laundered white resort has 125 rooms and suites with timber floors and traditional songket patterned bamboo carpets. Expect 42-inch flat screen LCD TVs, iPod dock, DVD, blackout curtains, and private balconies with sweeping sea views. All are spacious, clean and modern. Meeting rooms have quite a grand feel, with carpeted floors, high ceilings and floor-to-ceiling windows. Relax in the reading room or games room while the little ones run amok in the Kid’s Club (under supervision, of course). Burn some calories in the Danna Fitness gym, participate in various water sports or get pampered at the Danna Spa. Or catch some rays by the three-tier infinity swimming pool. A sliver of sand runs along the bay. There’s a library for those looking for a good book – and a Billiard Room for relaxed evenings. The staff is friendly and helpful. This is a medium-rise resort hotel with everything within walking range. No nuisance buggy rides here and lots of family fun for tired dads in need. On the far northeast tip of the island is the secluded Tanjung Rhu Resort set on a broad spread of dazzling sand. When the sun’s up you’ll definitely need to pull out the shades. The resort has gone through considerable transformation to emerge smartly minimalist, with expanses of white, khaki and pastel canvases adorning the walls. The place is delightfully laid back, yet brisk. The main ensemble is circular with a small “lagoon” pool at its centre and lots of tropical foliage. The 136 rooms are smart, with wooden floors and large windows to prise open that extra view. Suites are delicious – woody and stylish with louvred shutters. All have private balconies, living areas with LCD TV and DVD/CD player, as well as bathrooms with separate showers and bathtubs. Regular room rates include daily breakfast and airport transfers. Stepping out and around the property brings you to an attractive beachfront swimming pool, seaside dining, and the resort’s trump card, the JivaRhu Wellness spa where you might try anything from traditional Malay massage to hot stone therapy and exotic scrubs. On the wellness centre’s three acres, there’s even an open-air yoga area. An eco-friendly resort, Tanjung Rhu offers a variety of water sports including hydrobiking, kayaking, catamaran G-Cats, windsurfing and sailing. For a minimal fee, you can catch shuttles for the 30-minute drive to Kuah. Or you can rent one of the resort’s convertible Peugeots. Remember to bring your international driving license though. The resort does not wholly encourage kids, as its prime target is sun-burnished couples and honeymooners. 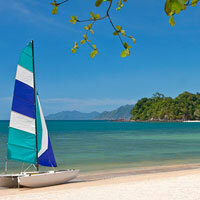 This is also a fine spot for Langkawi beach weddings with a fine and broad stretch of sand. 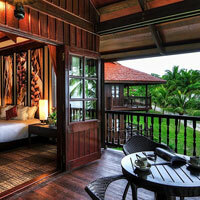 Also on Tanjung Rhu with its signature blend of service and style is the Four Seasons Resort Langkawi. This is a watershed resort in more ways than one. First, it marks the entry of a significant luxury player in a traditionally quiet market. Second, this Four Seasons is not your average thatch-and-timber getaway. This cross-dresser is Moorish in design with a vivid all-embracing leitmotif drawn from the Alhambra in Spain. Whether it pulls it off, time will tell. But one thing is certain. The detail and execution – from the latticed windows, framing archways and reflective pools to the mirrored walls, oil lamps, palm trees and stark mud-wash walls – is painstaking as well as amazing in both its audacity and scope. It is unlike anything you’ve seen before in Asia. The resort occupies a vast stretch of oceanfront with excellent sand. It is a hike to get from one side to the other but everything is sanely on one level. There are two kinds of accommodation – the Melaleuca Pavilions, sort of stand-alone two-floor villas with large verandahs, and the Beach Villas. The Melaleucas measure 68sq m (or 732sq ft, larger than an average Hong Kong flat), and the Beach Villas offer grounds and living space totalling a whopping 220sq m. You might need to get a visa just to visit the washroom. Bath areas are exceedingly large, plush, and superbly appointed, while living areas are open and drenched in light. Beach Villas all feature their own private spa room with treatment beds. Indulge. Or flick channels on the 42-inch plasma flat screen TV. You will also find iPod docks, DVD/CD player, sound system, and yukata robes in the bathroom. There is a dedicated spa on site as well if you wish to venture out, replete with five treatment pavilions, outdoor showers and a separate pavilion for yoga and meditation. All beach villas and the Royal Villa have a private in-room treatment area for oodles of guilty wellness menus without having to leave your room. While several resorts in Langkawi are showing signs of wear and tear with the salty air, Four Seasons retains a welcoming gleam and jaunty stride as one of the top Langkawi spa resorts around. That’s luxury for you. And that concludes our Langkawi fun guide – from beach weddings and family frolic to corporate meetings and go-karts. Retail rates online or through travel agents will be lower. Rates also vary dramatically between high and low seasons. High season is the dry period November to March. There may be an additional 5 percent government tax and 10 percent service charge. Hidden taxes may add up to about 17.5%. The Malaysian ringgit to US dollar exchange rate is US$1 = RM3.99. Room rates: Always look for the Best Available Rates (BAR) on the internet and check with your travel agent. Hotels offer attractive rates that change on a daily or weekly basis on their websites and these may sometimes be the cheapest deals. Pick low season or ‘shoulder’ periods for the best prices and avoid peak season surcharges. In general average room rates in Langkawi will range from US$65 off-season at three-star places, and US$250-US$500 at boutique-style establishments to US$750 for high-end villas. Good information is available in the well presented tourism office site Naturally Langkawi. Westin Langkawi Resort & Spa. Tel: [60-4] 960-8888, (www.westinlangkawi.com/). The St Regis Langkawi. Tel: [60-4] 960-6666, (www.stregislangkawi.com/). The Danna Langkawi. Tel: [60-4] 959-3288, (www.thedanna.com). 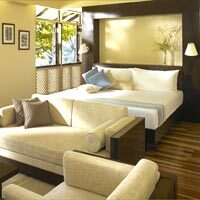 The Andaman, a Luxury Collection Resort. Tel: [60-4] 959-1088, (www.theandaman.com). The Datai, Langkawi. Tel: [60-4] 950-0500, (www.thedatai.com). Bella Vista Waterfront Langkawi. Tel: [60-4] 966-2800, (bellavistahotelsandresorts.com). Bayview Hotel Langkawi. Tel: [60-4] 966-1818, (www.bayviewhotels.com/langkawi). Eagle Bay Hotel. Tel: [60-4] 966-8585, (www.eaglebay.com.my). Grand Continental. Tel: [60-4] 966-0333, (www.grandcontinentallangkawi.com/). Hotel Langkasuka. Tel: [60-4] 966-6828, (www.hotellangkasuka.com). Kampung Tok Senik Resort. Tel: [60-4] 955-7288, (Facebook: www.facebook.com). Aseania Resort Langkawi. 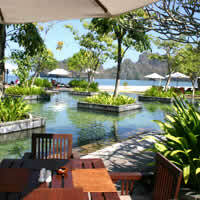 Tel: [60-4] 955-2020, (www.aseanialangkawi.com.my). Bon Ton Restaurant & Resort. Tel: [60-4] 955-1688, (www.bontonresort.com.my). Casa Del Mar. Tel: [60-4] 955-2388, (www.casadelmar-langkawi.com). Federal Villa Beach Resort Langkawi. Tel: [60-4] 952-9999, (www.federalvillalangkawi.com). Frangipani Langkawi Resort & Spa. Tel: [60-4] 952-0000, (www.frangipanilangkawi.com). Holiday Villa Beach Resort & Spa Langkawi. 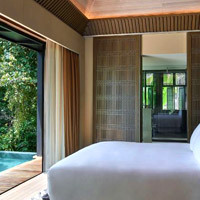 Tel: [60-4] 952-9999, (www.holidayvillahotellangkawi.com). Meritus Pelangi Beach Resort & Spa. Tel: [60-4] 952-8888, (www.meritushotels.com). Resorts World Langkawi (formely Awana Porto Malai Resort). Tel: [60-4] 955-5111, (www.rwlangkawi.com). Temple Tree at Bon Ton. Tel:  955-1688, fax: 955-4791, (e-mail: info@templetree.com.my or www.templetree.com.my). Villa Molek. Tel: [60-4] 955-3605, fax: 955-2995, (e-mail: info@villamolek.com or www.villamolek.com). Vivanta by Taj - Rebak Island Langkawi. Tel [60-4] 966-5566, (www.vivantabytaj.com/rebak-island-langkawi). Berjaya Langkawi Resort. Tel: [60-4] 959-1888, (www.berjayahotel.com/langkawi/). Century Four Points Langkawi (formerly Sheraton). Tel: [60-4] 952-8200, (www.centuryfourpoints.com). Langkawi Lagoon Resort. Tel: [60-4] 955-8181, (www.langkawilagoon-resort.com/). Mutiara Burau Bay. Resort was closed in 2014 and had not reopened early 2018. The Ritz-Carlton Langkawi. 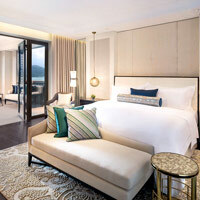 Tel: [60-4] , (www.ritzcarlton.com). Four Seasons Resort Langkawi. Tel: [60-4] 950-8888, (www.fourseasons.com/langkawi/). Tanjung Rhu Resort. Tel: [60-4] 959-1033, (www.tanjungrhu.com.my).